Between the impressive ensemble and outstanding script by Tom McCarthy and Josh Singer, Spotlight earns the top spot for my 2015 list. It tells the story of how the Boston Globe uncovered the massive scandal of child molestation and cover-up within the local Catholic Archdiocese. Q: Does Spotlight pass the Bechdel-Wallace Test? Yes! Rachel McAdams' character has a relationship with her grandmother, a devout Catholic. There is a common theme that binds all of Pixar’s finest hours together: letting go. Woody waves goodbye to Andy. Marlin watches Nemo swim away. Ellie thanks Carl for the adventure. The long-awaited Inside Out is no different, telling a beautiful and insightful story about life’s curveballs and letting go of childhood. The film exudes a range of emotions - quite literally. Set in the control center of an 11-year-old girl’s brain, the story personifies feelings of joy, anger, fear, disgust and sadness. Screenwriter Meg LeFauve takes children on an adventurous ride into Riley's imaginative world while quietly making adults reminisce about their own marbles of memory. 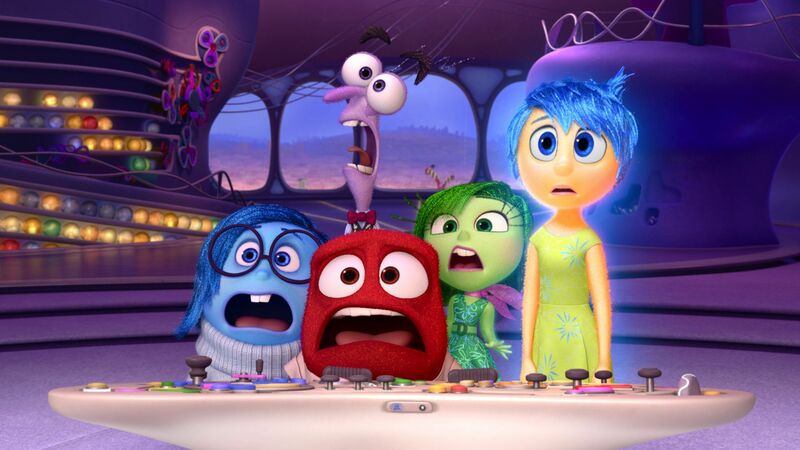 Q: Does Inside Out pass the Bechdel-Wallace Test? Yes! Have your Kleenex handy when you watch this beautiful story of an Irish immigrant, played brilliantly by Saoirse Ronan. Set in 1950s Brooklyn, "Eilis" adjusts to a new life without her family or friends. Slowly, she learns to adapt and eventually falls in love with "Tony" (Emory Cohen). But when a death in the family brings Eilis back to her home country, she is forced to choose between her past and her future. Q: Does Brooklyn pass the Bechdel-Wallace Test? Yes! Writer/Director Afia Nathaniel captures a mother’s fierce protection of her 10-year-old daughter by escaping an arranged marriage and fleeing the oppressive cultures of Pakistan. Translated in English toDaughter, the heartfelt and hopeful story can resonate with audiences around the globe. Q: Does Dukhtar pass the Bechdel-Wallace Test? Yes! Writer/Director Alice Rohrwacher tells a sweet (... no pun intended) story of a family running a beekeeping business in rural Italy. Seen through the eyes of 12-year-old “Gelsomina” (Maria Alexandra Lungu), The Wonders (also tited Le meraviglie) is a simple, heartfelt story of a family trying to keep their heads above water. Q: Does The Wonders pass the Bechdel-Wallace Test? Yes! Murder mysteries can be an enjoyable watch, especially in Bollywood. Inspired by a true story, Talvar takes the audience on intense, suspenseful ride as they examine the murder case of a teenage girl and her boyfriend. Lesley Chilcott’s inspiring documentary tells stories of teenage girls from around the world as they enter the 2015 Technovation Challenge. Codegirl is an interesting, empowering and insightful documentary everyone should see; most importantly, high school girls. Q: Does Codegirl pass the Bechdel-Wallace Test? Absolutely! Writer/Director Amy Berg unveils the harsh realities of the sexual predators that circle around young Hollywood. By documenting first-hand accounts from sexual-abuse survivors, Berg exposes the deep, dark abyss of fame taking hold of innocence. Q: Does An Open Secret pass the Bechdel-Wallace Test? No, but there are prominent females who sparked an investigation into a predator selling pictures of children on eBay. Leah Wolchok goes behind the scenes of the The New Yorker, documenting history of the magazine’s memorable cartoons - and the cartoonists that brought them to life. Although traditional in its format, this engaging HBO project keeps you laughing minute by minute. Q: Does Very Semi-Serious pass the Bechdel-Wallace Test? No. After screening and reviewing more than 100 films during the 2015 film season, narrowing down the top three in each category was a difficult task. How can I compare the Boston Globe Spotlight team to the imaginary cartoons in a pre-teen's brain? How can I weigh the small town of Big Stone Gap against the enormous galaxy from far far away? In a recent The Hollywood Reporter writers roundtable, compiled of both industry veterans (Aaron Sorkin) and relative newcomers (Amy Schumer), screenwriter of Inside Out Meg LeFauve reflected on what it means to "write what you know." Does it mean external circumstances? Does it mean internal values? Either way, almost all stories have the same thing in common: people, problems and peoples' reactions to those problems. It just so happens that I found these people and problems most fascinating in 2015. The cast and crew of these films had a way of captivating my attention by making me ask one simple question, "What's going to happen?" When you ask that question, the filmmakers have done their job. This year, filmmakers Meg LeFauve, Tom McCarthy, Nick Hornby, Amy Berg and Afia Nathaniel all did their jobs. And did them well.